Writing a legal blog post is best done with two faces. One has to look towards your human audience, while the other faces the search engines that will rank your page. Most of the time, this won’t be difficult to do, as search engines are designed to want the same things that human readers want. However, there are times when you have to choose whether to potentially alienate readers or leave some SEO points on the table at the expense of your ranking. One of these times is when you refer to a case or statute in your blog post. You can minimize the uncertainty, though, by keeping in mind who you want to read your post. If you can cater to your search engine audience and still give your human readers what they want with the same decision, the Catch-22 deflates and becomes moot. 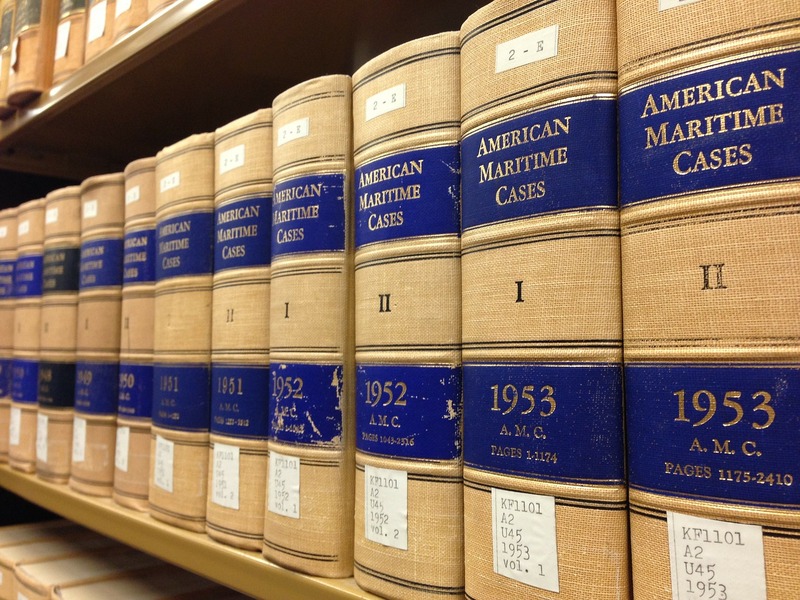 But first, why should you bother referring to cases, statutes, and other legal material in your legal blog? While your blog is marketing content, you still want to signal to the search engine gods what your post is about. If you don’t loudly proclaim what you’re talking about, you risk your post being ignored as irrelevant for the very kinds of search queries you want to capture. Therefore, if you’re an Oklahoma DUI-defense attorney, referring to the state’s DUI law is an important first step. Linking to it is even better, because search engines treat hyperlinks from one site to another as a strong indication that the material is similar on both pages. Referring to primary legal materials also benefits your human readers, as well. If they’re reading a legal blog post rather than a landing page, that means they’re probably near the top of your marketing funnel: They might not know that they have a legal problem, yet, or aren’t sure whether they need a lawyer. Therefore, referring to primary sources of information can be a huge help in their research endeavor. It also lends your site credibility in their mind, increasing the odds that they give your firm a call, in the end. Every time you allude to a case or law in your online content, you make a choice about where to fall on this spectrum. There are consequences to this decision: If you’re too colloquial, you risk talking beneath sophisticated readers and other lawyers who can bring you referral business, while if you’re too formal, you risk intimidating and alienating lay readers. If you appease readers by tossing aside your BlueBook, though, you won’t score any points for that rarely-searched extended citation that might—just might—net another client. The Big Question: Who Is Your Targeted Audience? This dilemma gets tossed out the window, though, if your targeted audience is a sophisticated legal reader. If much of your law firm’s business comes from referrals—or if you want most of it to come from referrals—then you can use those full citations to both nod at your intended readers and to approach those longtail search queries. In fact, if your ideal audience is other lawyers, the chance that their search query involves a citation increases dramatically. Only when you’re using your legal blog to attract lay readers to your firm does the decision become complex. If that’s the case, you can risk alienating them by sounding elitist and scholarly by providing full citations, or you can write more colloquially and merely hyperlink to primary material organically in a sentence. In the end, the decision comes down to reputation management, which is a decision that only you can make. This entry was posted in Legal Blog Writing and tagged Blog Content, Blog Style, Keywords, Reputation, SEO Strategy, Writing Tips. Bookmark the permalink.